We all remember the Cool or Cosy from the mid-90’s. If you need a refresher and the tune stuck in your head for the next few days, have a watch of the below YouTube link. Cool or Cosy, or cellulose as it’s commonly known was all the range for home insulation over the past few decades. The cellulose insulation is made of recycled newspaper and cardboard emulsified and sprayed loose into the roof. To make it non-flammable, Cool or Cosy added boric acid into their product to make it fire resistant. So what does it mean for your home today? We’ve given you our quick run down on the old Cool or Cosy insulation below. Being a loose fill product, the old Cool or Cosy insulation is most likely responsible for over half the dust forming in your home. Even though you can’t see it in your roof, it easily finds it’s way into the home through down lights, cornices and air conditioning vents. It quickly becomes airborne, meaning that it ends up spreading through your home. Old Cool or Cosy, or cellulose insulation was made predominately from recycled newspapers. Fantastic use of recycling years ago, however many old newspapers 20 years or older contained lead in the printing process. The lead contamination can remain for decades, and can be ingested with the airborne nature of the cellulose insulation. Whilst it is very low levels, lead is a toxic substance that can be particularly harmful to children, women and unborn babies. When installed originally, Cool or Cosy insulation offered an R3 energy rating. To put this into perspective for a moment, the minimum standard as per Building Code Australia for Perth insulation is R4. The Cool or Cosy cellulose insulation no longer performs at the R3 it was designed to. 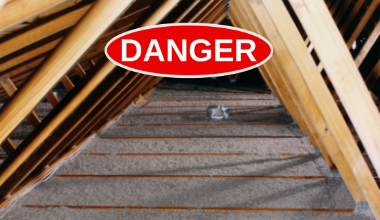 Over time, it has blown around the roof (and into your home), as well as compressed over time. This means it is only performing at half the efficiency it was originally, giving your home an R1.3 – R1.6. With 40% of your heat gain and heat loss going through your roof space, old blown in cellulose insulation is no longer protecting your home from the external temperature variations. You can remove the old cool or cosy cellulose insulation via a commercial vacuum. The process involves removing a few tiles or a sheet of colourbond and running big commercial vacuum pipes into the roof space. Our professional insulation removal experts vacuum all the old cool or cosy insulation into big storage bags and is disposed of correctly. We recommend replacing the old cellulose insulation with Bradford Gold batts that come with a 70 year warranty and are approved by the Asthma Foundation. For an obligation free quote, please call 0421 987 483 or contact us.